'The business community as a whole is in panic,' says organizer of rally in central Alberta town. Drayton Valley resident Tim Cameron is one of the organizers of Tuesday's rally. Residents in the central Alberta oil and gas town of Drayton Valley hope to send Ottawa a distress signal over the oil price crisis and pending layoffs at a rally Tuesday afternoon. Rally organizers say they want to draw Ottawa's attention to the impact of plunging oil prices, which have wreaked havoc on the community of just over 7,000 people, where businesses are fighting to stay afloat as residents struggle to hold on to homes and feed families. Last week, 50 local business owners penned a letter inviting Prime Minister Justin Trudeau to sit down with them for an informal chat to look for solutions. 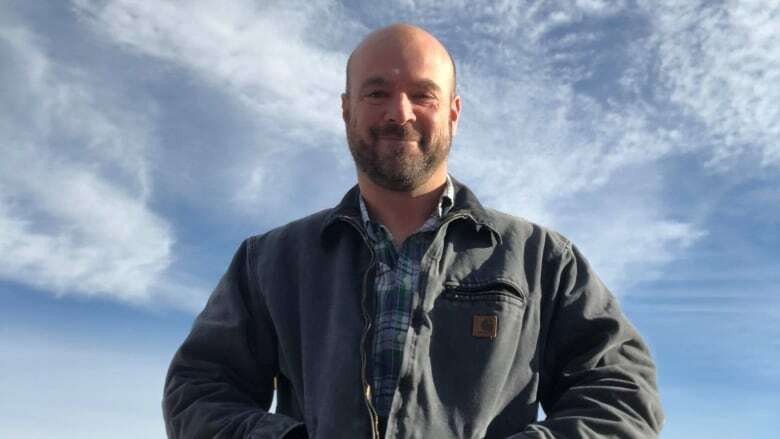 Lifelong Drayton Valley resident and rally organizer Tim Cameron said a key message the town hopes to send the federal government is that new pipelines urgently need to get built to get Alberta oil to international markets. The level of concern in town can't be overstated, he said. "The business community as a whole is in panic," said Cameron. "I'm reticent about floating those big verbs and those big adjectives because it sounds like another typical media sound bite — 'Oh it's devastation, it's collapse of a community' — but it really is." Cameron once worked as a project manager on the civil construction and environmental side of the energy industry where he managed up to 50 workers four years ago. Now he's scrambling to find work. "And there's dozens of guys like me in Drayton Valley so that starts to put it in perspective," said Cameron. On Sunday Premier Rachel Notley announced an 8.7 per cent oil production cut, in an effort to address a glut and boost the sagging price of Western Canadian Select oil, which sells at a huge discount compared to comparable U.S. oil. She urged Ottawa to "toss the half-hearted statements away" and "step up and help us bring an end to this crisis" by getting Alberta crude to the west coast with additional pipeline capacity. Planning for Tuesday's rally evolved out of a speaking event already planned in the evening involving Vivian Krause, a Vancouver-based researcher who has extensively investigated foreign financial backing in Canada's environmental movement. That dinner and speech was organized by the council of Brazeau County, which surrounds Drayton Valley. "We wanted to show our business community that there's outside forces out there that are working against Brazeau County. They're working against this province and they're working against this country," said county reeve Bart Guyon. "Having more people engaged and understand what's actually happening may help to shape public perception on what's going on out there, and maybe have a chance to influence the prime minister and our premier to do more in order to get oil to tidewater." Dealerships, banks, retail outlets and oil companies plan to close early for the 4:30 p.m. rally. "We're not partisan," Cameron stressed. "There have been a variety of parties that have put us in this situation. And it's up to everybody now to get involved."